Google Chrome version 68, coming in July, marks websites not using HTTPS as "Not secure." 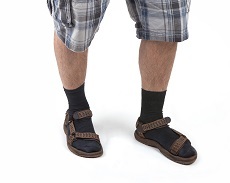 At the risk of offending a great many of my coworkers, having a site marked "Not secure" is to 2018 computing as wearing black socks and sandals is to being cool. While this warning is specific to Google Chrome 68 right now, take it to the bank that MS Edge, Mozilla Firefox, and Apple Safari will soon have a similar security warning for non-HTTPS sites. 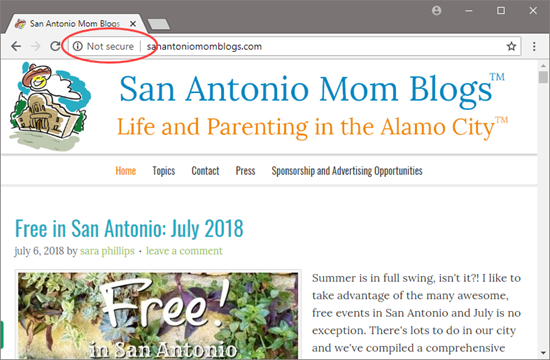 With low-cost certificates and improved IIS Web server configuration over the past couple of years, there is simply no excuse for not using HTTPS today. Take a look Let's Encrypt for a high quality, free secure certificates. Beyond the stigma of being marked "Not secure," sites running on HTTP are, well, not secure. Passwords, for example, are passed in clear text across the network. You don't want that. Your customers don't want that! If your sites aren't running HTTPS today, put it on your to-do list now! Here is the beta version of Google Chrome 68 reporting a site as being "not secure.